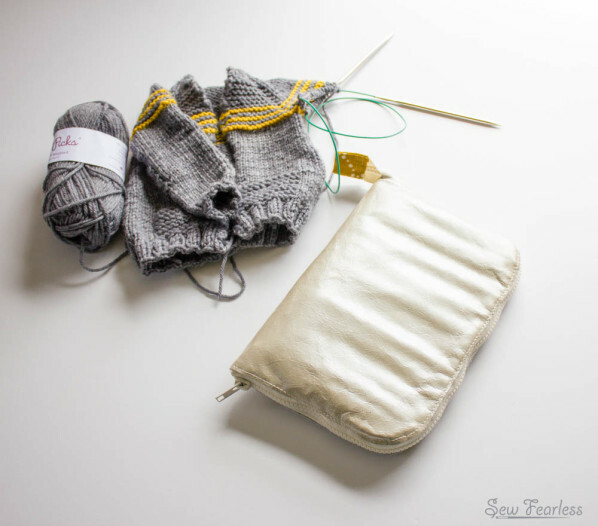 I’ve taken to stashing my current knitting project in my Better-Than-Basic Bag and working on a sweet little baby sweater during my now frequent visits to the OB waiting room. (36 weeks and counting!) 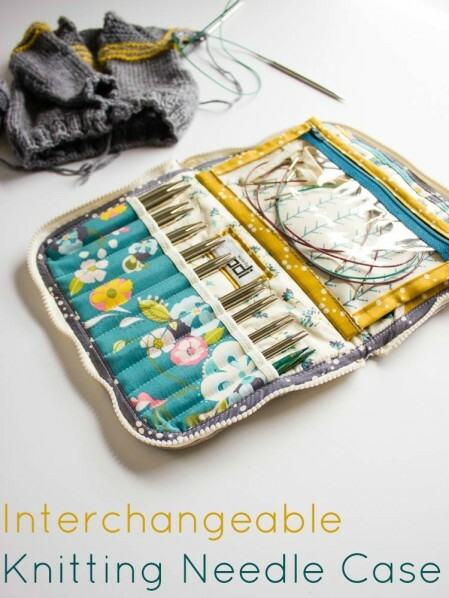 When my interchangeable knitting needles‘ factory-made vinyl case bit the dust last week, and I ignored my family encouraged my children toward self-directed play for a couple of days while I worked a new needle case out of my system. I love when projects hit me like that – with a clear vision of what I want and the obsessive drive to see it through until completion. 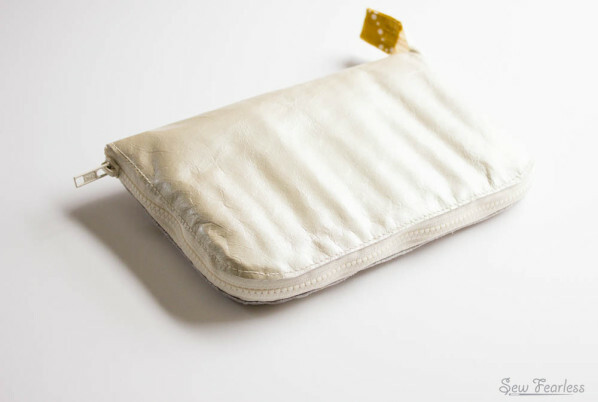 Even better, is when it does turn out like I hoped (even if it takes some seam ripping and errors to get it there). 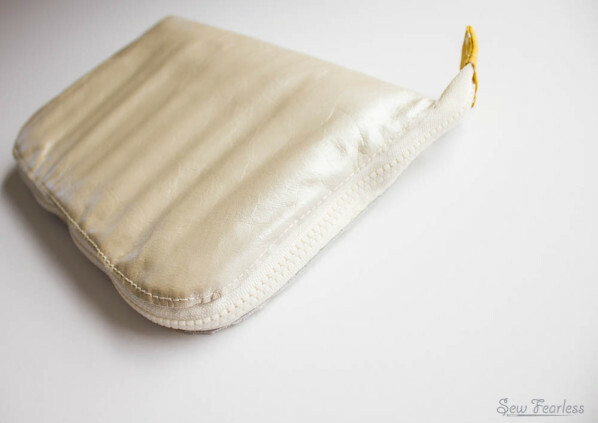 The exterior of my new knitting needle case is a “Polished Pearl” metallic leather, because… well… I am obsessed with leather and I have so much lying around from my bag testing. 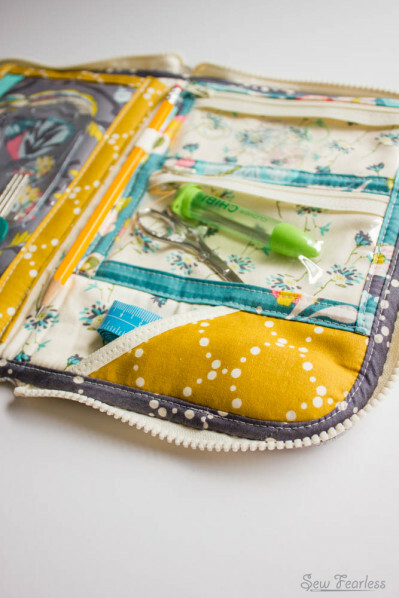 The exciting colors and prints of quilting cottons can get a bit overdone in bag making, and recently I have been trying add more texture into my designs. Leather being such a gorgeous one. Then again, you don’t want things to be so subtle that it turns out boring. 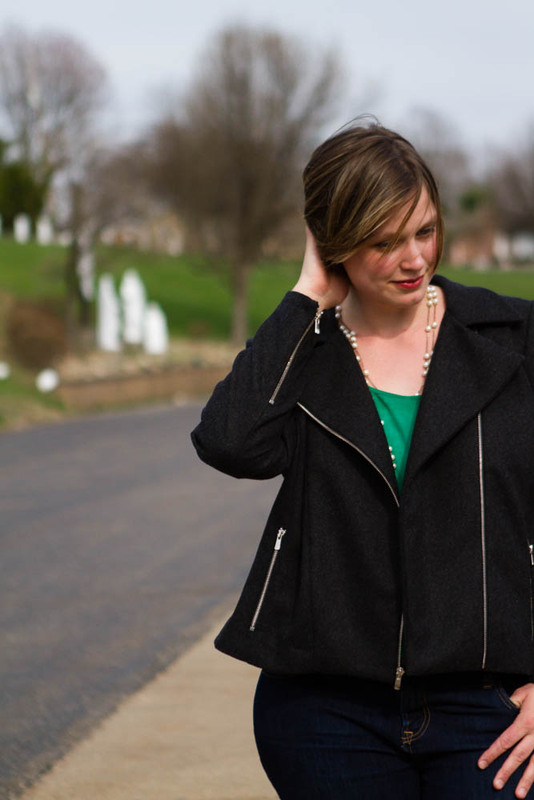 I used a gorgeous collection of prints by one of my favoritist designers, Bari J. 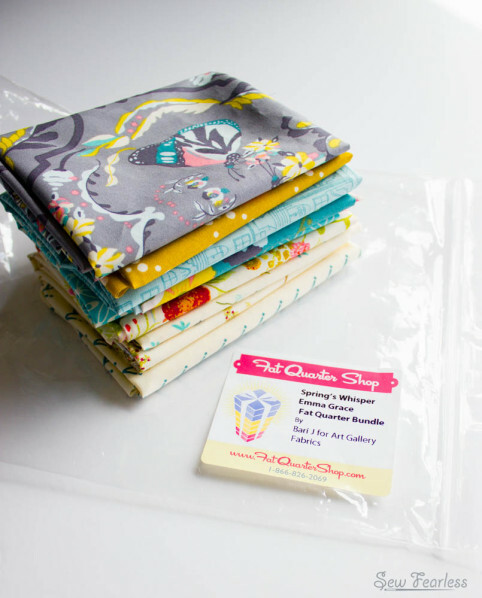 Her designs are always spot on for my taste, and I hoarded this particular fat quarter bundle for far longer than it deserved. Good fabrics should be USED. I didn’t follow any tutorials for this case. 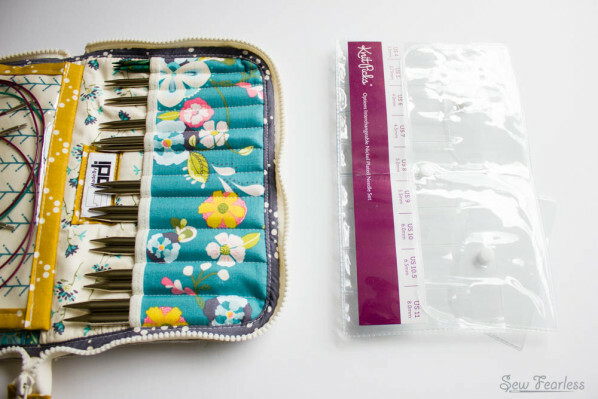 Instead, I based the needle pockets on the original vinyl pouch, and then kept adding more pockets from there. 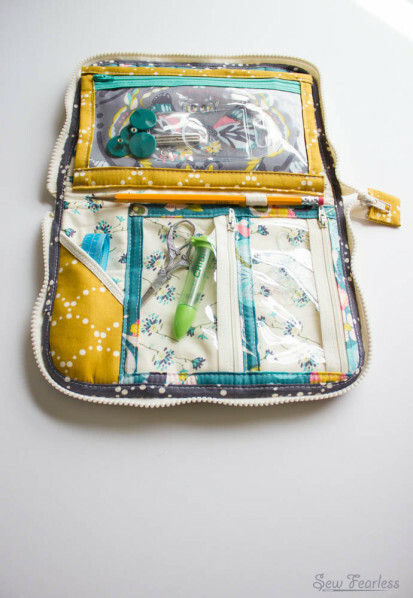 This project was a lot more improvisational than many of my bag projects, but it was really fun to work out the construction details as I went along. 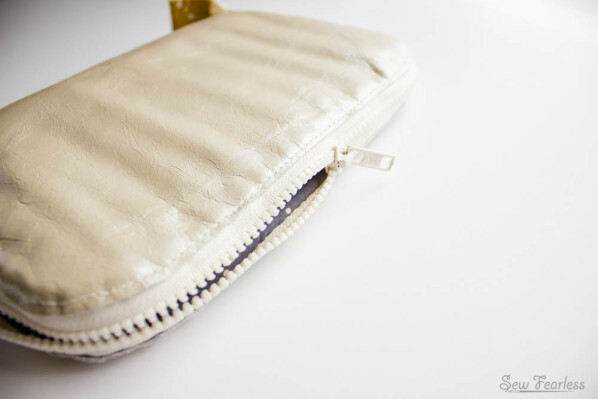 Details which include a double-sided zippered vinyl pocket dividing the case in half, and two smaller vinyl zipper pouches. 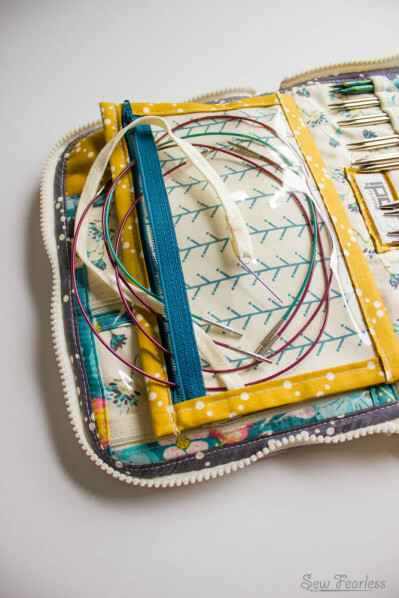 … and successful use of it brings your sewing project from “handmade” to “handcrafted” (if you get what I mean). Unfortunately, I don’t have a tutorial in the works for this. Baby is coming too soon for me to promise anything of the sort. Also, while I am pleased with my results, I don’t think my construction methods are sorted out enough yet to be up-to-snuff for a good pattern design. That is just awesome! 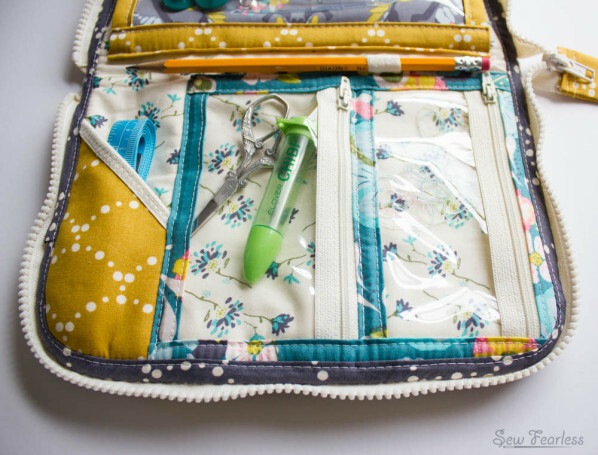 I love the fabrics you used for the interior… and all those pockets! Love it! I would love to see an option to buy! Please make a tutorial!! I would die to know how to make this. Its so cute. Is there a tutorial for this? 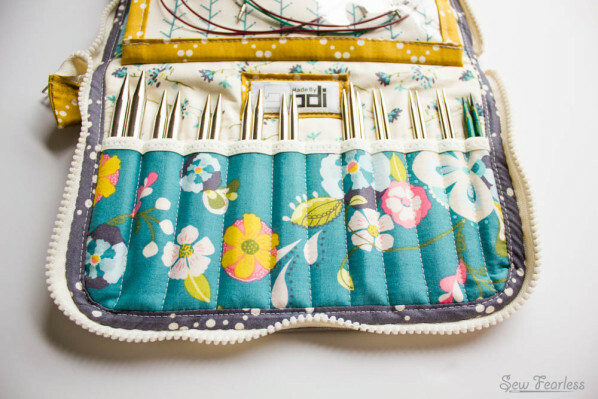 I’ve been wanting to recreate it for my options needles but I can’t quit figure out the order in which I need to sew things together and how to get the perfect edges/borders (like yours). 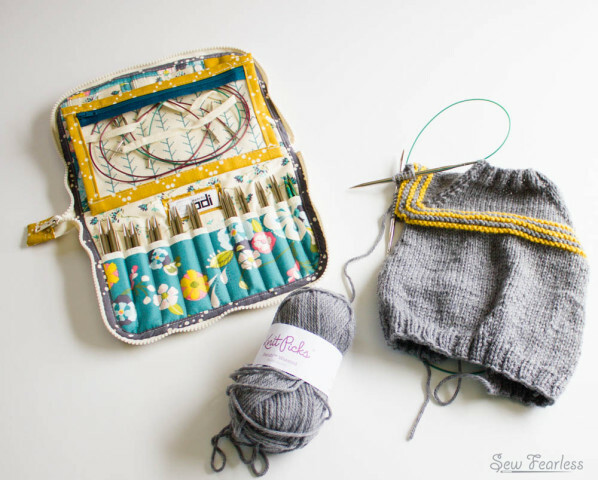 I bought a few more sizes of the needles so my case may be a bit longer. Hope that doesn’t change much and I hope you’ll consider even a short tutorial for this! I have yet to make a tutorial for this, because I am not happy with how it came together for me. Hopefully in the future. 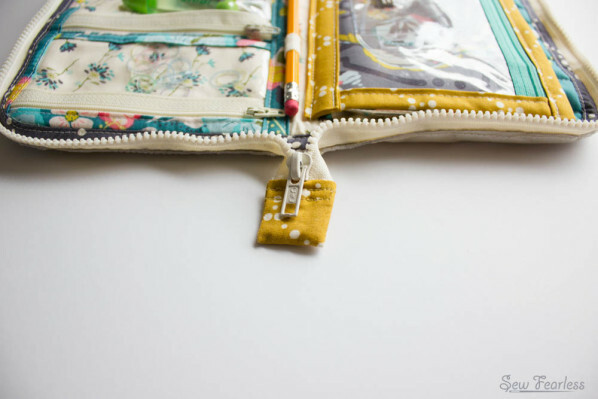 Are there any current posts about sewing on 3 sided zippers or the order in which layered & complex pieced should be put together? 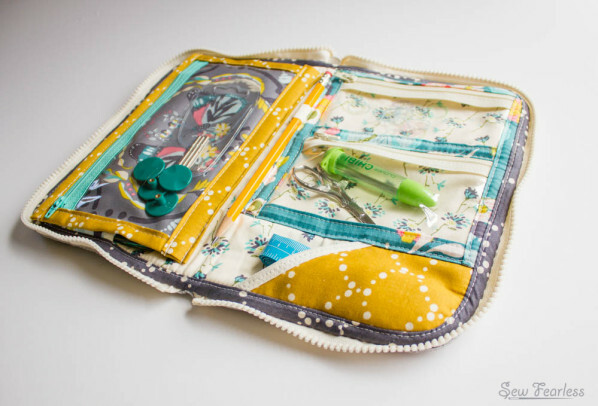 i’m looking for a needle case to sew (with tutorial because i’m a sew beginer) and I just fall in love with your needle case!!! are you expecting to do the tutorial one day??? even if i have to pay for, I realllllllly want to make one of these but i don’t know how and where to start! 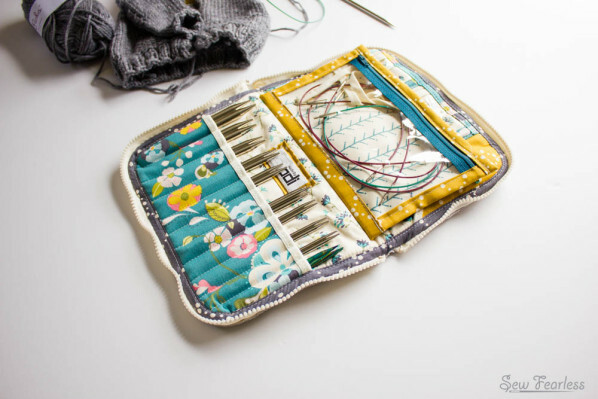 Your desing is SO perfect for all my knitting stuff. Please, Please, Please, we need a pattern & tutorial!!! Thanks!! This is what I keep picturing in my head but keep putting off trying to figure out. I think I might try to reverse engineer from your pictures!